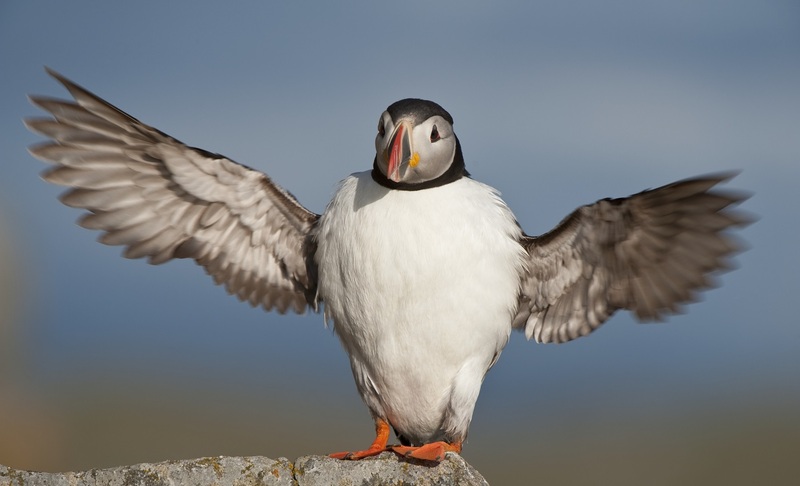 One highlight after another awaits you on this trip through one of the most spectacular and fascinating scenery in the World - with deep fjords, glaciers, picturesque villages and majestic mountains. The fjords of Norway is a highlight of any tour to Norway and this incredible journey will combine the Hardangerfjord and Sognefjord, with a visit to the foot of one of the most accessible glaciers in Norway: Nigardsbreen glacier which is an arm of the large Jostedalsbreen glacier, the largest glacier in Northern Europe. Visit the largest glacier on the European mainland - the Jostedal Glacier! 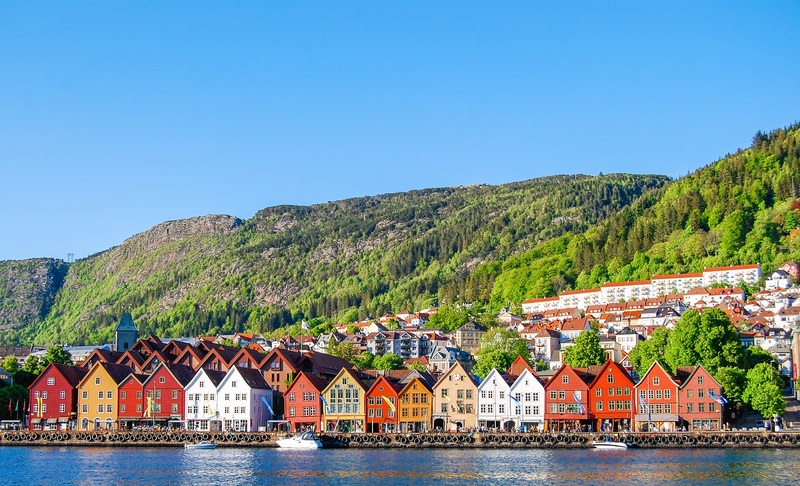 Welcome to Bergen, the gateway to the fjords! Spend your afternoon at leisure before an evening welcome meeting with your tour leader. Optional activities include an evening journey on the funicular railway known as Floibanen to the top of the nearby mountains for some stunning views or alternatively, explore the beautiful city of Bergen at your own pace. 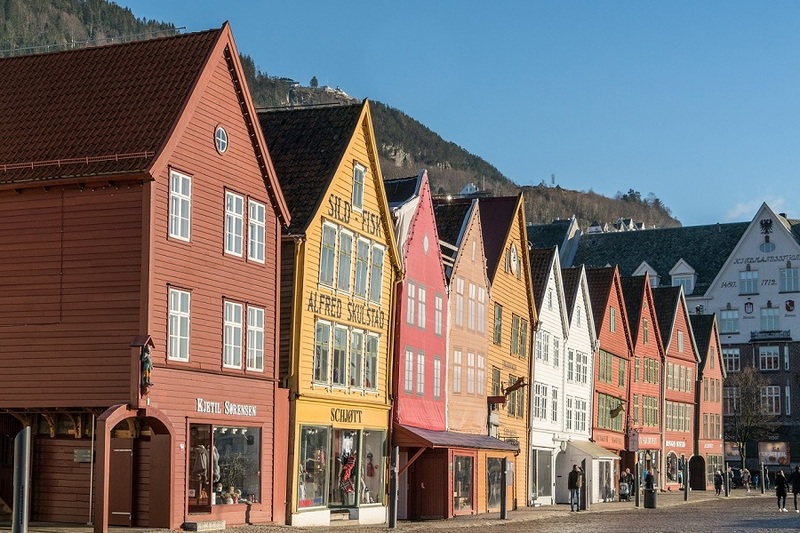 In the morning, we will depart on a 2 hour sightseeing tour of Bergen,including a visit to the popular fish market, and the historical town of Bryggen. In the afternoon, we head into the beautiful Hardangerfjord, also known as the orchard of Norway. 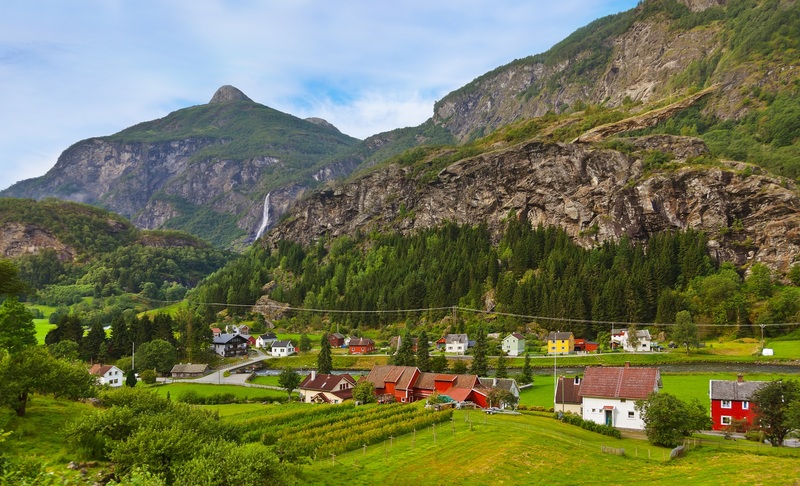 Today, we will continue to Stalheimen, situated on the very top of the Nærøydalen (Naeroy Valley)'s Canyon with a panoramic route to the idyllic village of Flam. 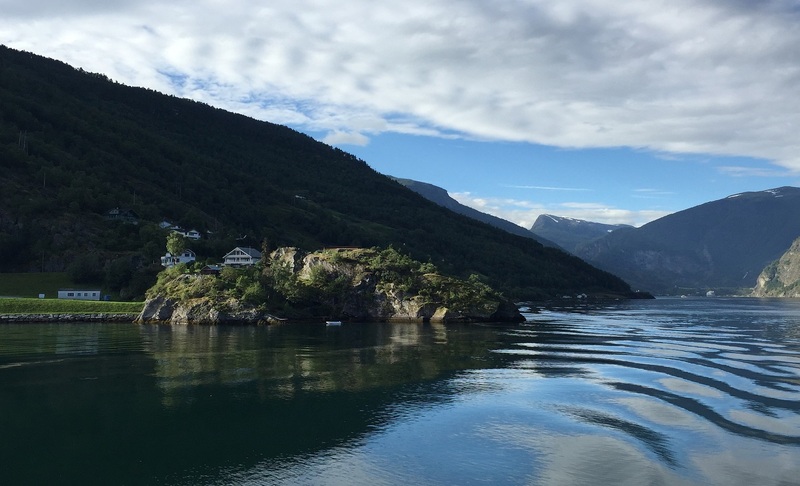 Enjoy a fjord cruise to Gudvangen. By coach, we will travel to Vangsnes, crossing the Sognefjord - the longest and deepest fjord in Norway and arriving in Balestrand for check-in are your hotel. Travel by ferry across the Fjaerlandfjord, before reaching Jostedal and the Breheimsenteret Glacier Centre located by the Jostedal Glacier. The Jostedal Glacier is, the largest glacier on the European mainland. The whole glacier, and also some of the nearby valleys, is protected as a national park. In front of the glacier, there is a small lake, which can be crossed on-board the passenger boat. Unlike other Glacier's, here you can get right up close. Today, we will journey across the Sognefjord again. This time to Flam, before boarding one of the most beautiful rail journeys in the world, the Flam Railway. A spectacular train journey that offers a panoramic view of some of the wildest and most magnificent nature in the Norwegian fjord landscape. The Flam Railway is one of the steepest train lines in the world on normal tracks, where almost 80% of the journey has a gradient of 5.5%. 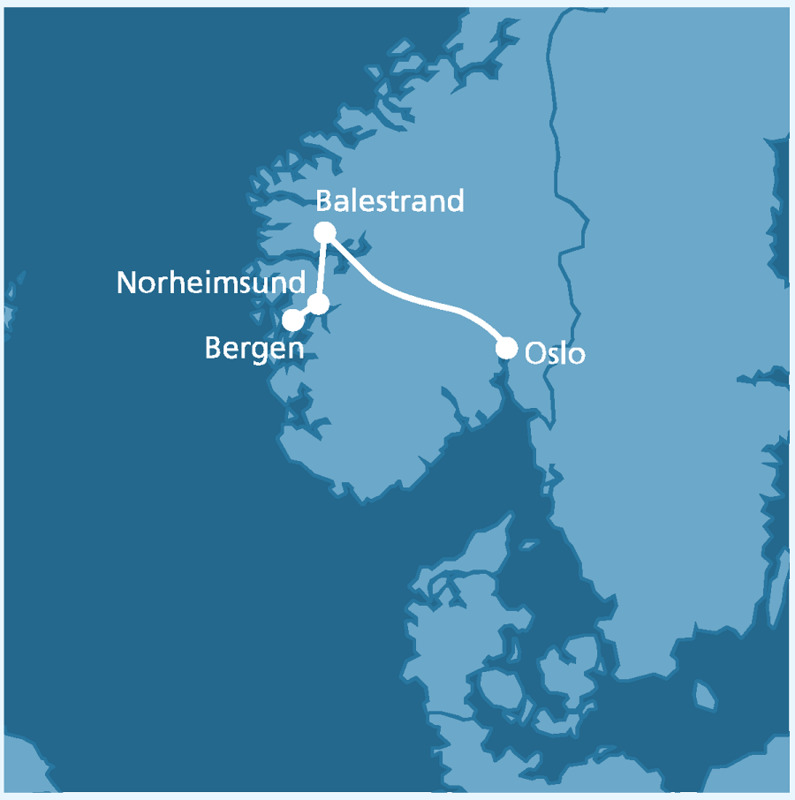 On arrival to the mountain station of Myrdal, you change trains and travel on the Ber­gen Line to the Norwegian capital, Oslo. Enjoy a 3 hour tour of Oslo, a city idyllically located between fjord and mountains. 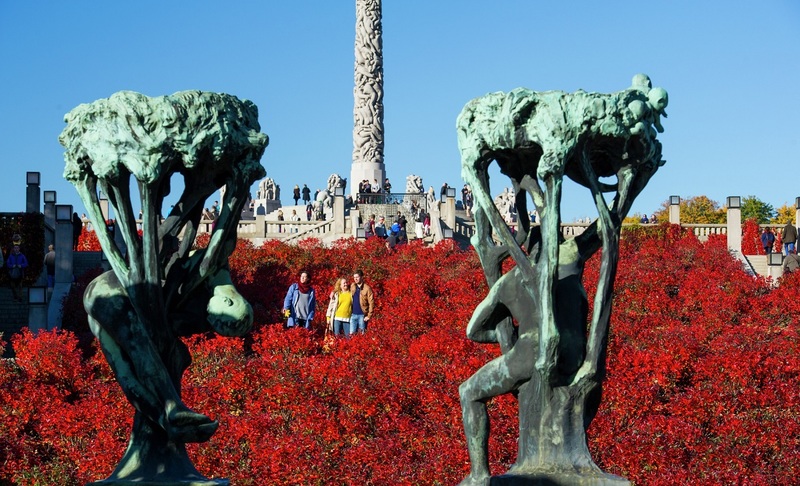 We will be visiting the Vigeland Sculpture Park with its 200 sculptures, Holmenkollen ski jump for a fantastic view of the city, and the Opera House (entrance fee not included). The afternoon is at your leisure to further explore Oslo and why not take one of the local ferries to Bygdoy peninsula and visit one of the many popular museums.